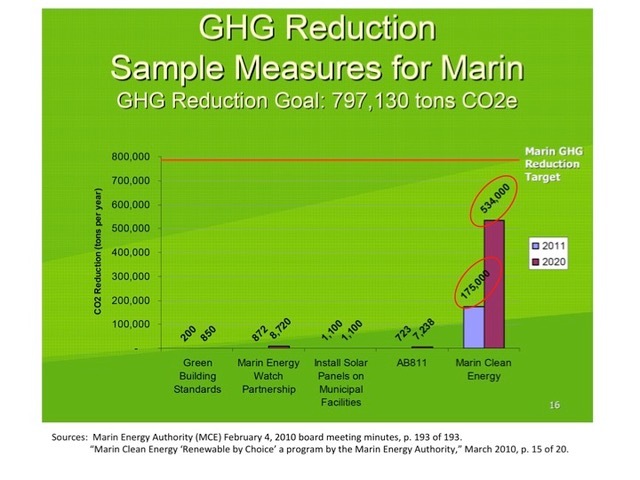 Marin Clean Energy's greenhouse gas (GHG) emission numbers are out and, once again, they do not track with reality. For the latest year of available data, MCE increased GHG emissions to the atmosphere 162,569 tons compared to the same energy volume being produced by PG&E for calendar year 2016. MCE claimed it would reduce GHGs by 175,000 tons in 2011. It claimed this reduction would continue to 534,000 tons per year by 2020. Since MCE’s 2010 business launch through 2016, MCE has increased overall emissions 1.07 billion pounds of GHG. All this begs the question: If MCE is increasing global warming, what is its financial liability in the wildfires that strike California? 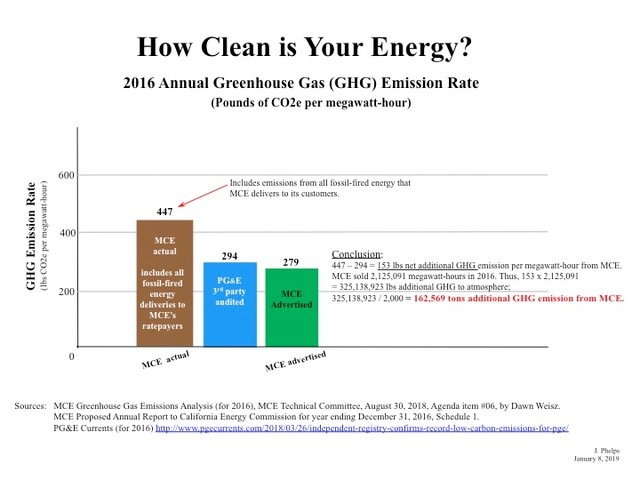 MCE Technical Committee, August 30, 2018, agenda item #06, “MCE (2016) Greenhouse Gas Emissions Analysis” (by MCE staff consultant). California Energy Commission Power Source Disclosure reports, Schedule 1, for the calendar year ending December 31, 2016.